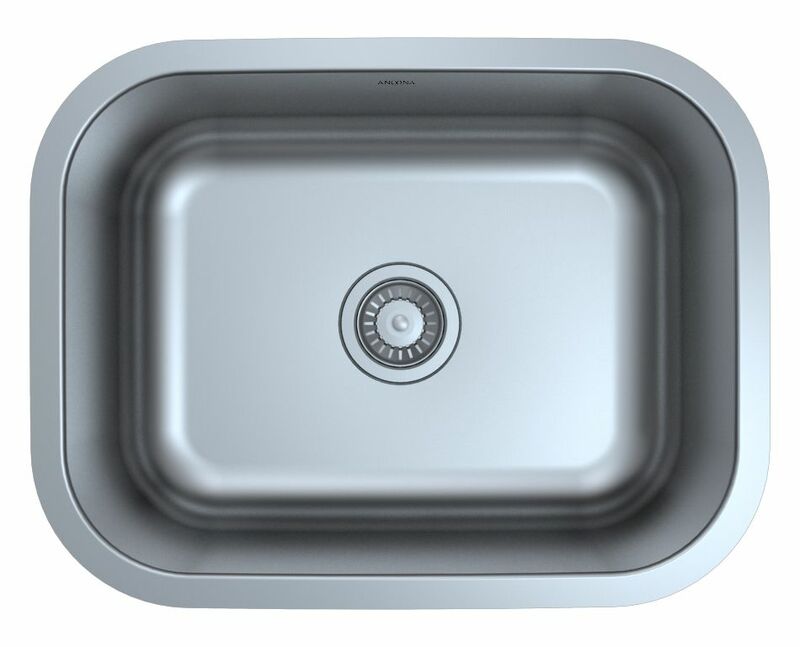 Capri Series Undermount Stainless Steel 23 inch Single Bowl Kitchen Sink in Satin Finish Function and simplicity combined result in Ancona's Capri Series Undermount Single bowl sink, the ideal addition to improve any kitchen. Compact and elegant, this Undermount sink features an ample 21 inch bowl, perfect for all household cleanup tasks. Accommodating to most counters and cabinets, the middle position drain allows better distribution and flow of sink. Fabricated in stainless steel, its satin finish and subtle curves blends into any kitchen scheme, while adding a beautiful and reliable construction to your home. Capri Series Undermount Stainless Steel 23 inch Single Bowl Kitchen Sink in Satin Finish is rated 4.0 out of 5 by 1.